New Hope for Children Orphanage: Lalitha's father died from tuberculosis: be her hero and sponsor! 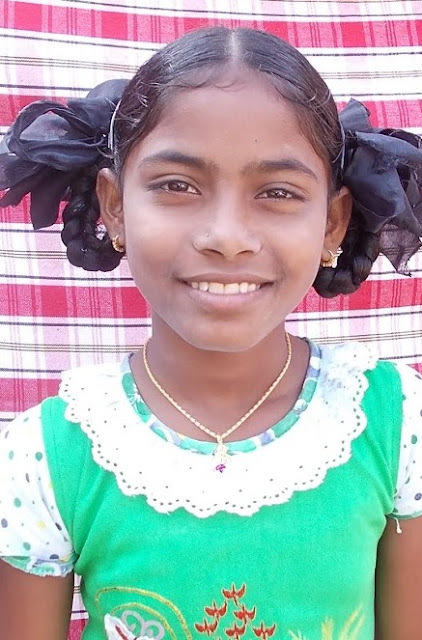 Lalitha's father died from tuberculosis: be her hero and sponsor! Lalitha is 10 years old. Her father died from tuberculosis. "My name is Lalitha K. I am 10 years old and studying in 4th Grade. My father was died with TB. My mother is the only bread winner of the family. Being a girl child I was neglected. I was not sent to school. I thank God for NHC Home. I am blessed to be here! I am in need of a sponsor." Lalitha now has a sponsor!